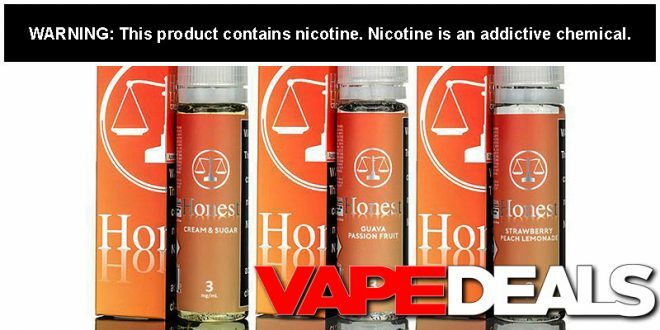 I just noticed that Flawless did another price drop on all 3 flavors from Honest E-liquid (by Buckshot Vapors). The 60mL bottles are now on sale for only $5 each! That’s a solid deal in my book. It looks like all the nicotine levels are still in stock too (0mg, 3mg, 6mg, 12mg). Have any of you guys tried this stuff yet? If so, I’d love to hear what you think. I’m tempted to pick up a bottle of Cream & Sugar for myself; sounds like a great flavor for these cold winter months. FlawlessVapeShop offers FREE shipping when you spend $50 or more.